Wow! The weeks fly by so fast and here we are with another week of the Project Share Project. If you haven't caught it before, this is a chance for me to showcase projects not made by me, but by some of the other fabulously talented demos in my team. First up today is Verity aka Inkybutterfly. Verity is an amazing crafter and I think I'm right in saying that she posts a new project on her blog every single day. Puts me to shame. 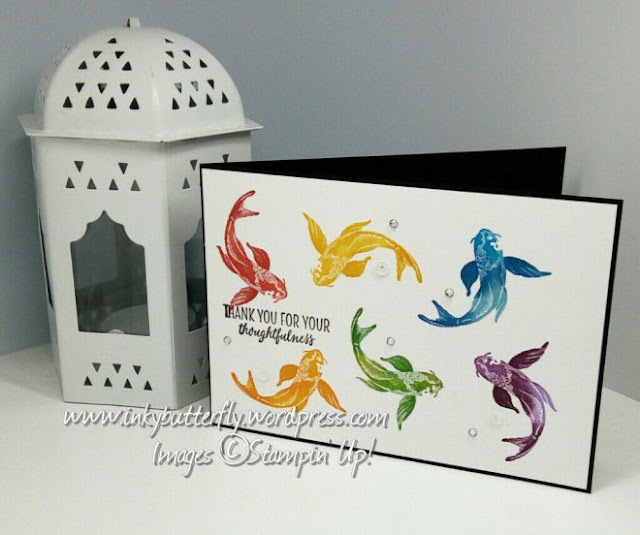 The project I have chosen to show you today is this lovely card. Verity has used a great selection of colours for her rainbow fish - two colours for each one. Click on the image to pop over to her blog to see which ones she used. And that stamp is one of our "DISTINKTIVE" stamps - these create different opacities in a single stamped image for realistic depth and intensity - gorgeous! Next up is Heidi, who has shared the thank you gift she sent out to her customers last month. Lucky customers I say! 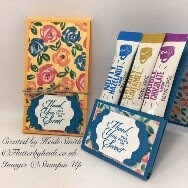 Heidi has some patterned papers from one of the packs that is on offer this month. This one is called "Garden Impressions" and you get 48 (yes, 48!!) sheets of 6" x 6" double sided papers in beautiful abstract floral patterns. And last today is Hannah who has made a lovely clean and simple card using our Bike Ride set. Is it bad that I've had this set for over a year and not yet inked it up? 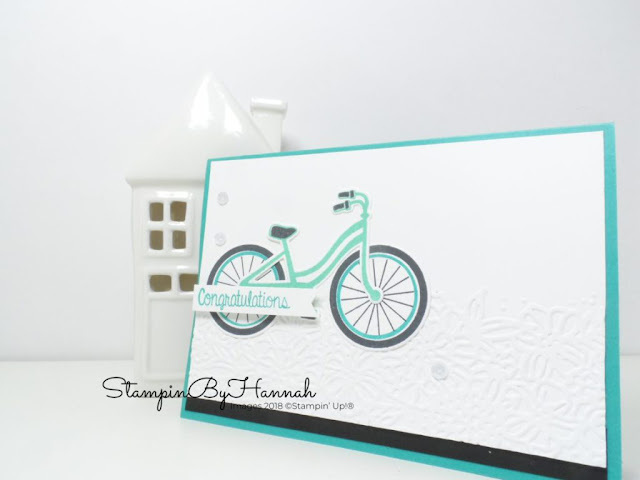 I love how Hannah has used the embossing folder to "ground" the bicycle here. And that's it for another week. Hope you've enjoyed those little peeks at these projects. Please click on any of the images to go through to their blogs - I know they would all love you to visit. So without further ado, today we have All the products I have used to make this project are all available from my online shop. Simply click "Shop Now" button on the top of this page or click any of the images below to go direct to that item in my online Stampin’ Up! shop. If you order from my online shop please use my monthly shopping code (below) to receive a free thank you gift from me as I really appreciate your business.